We mentioned one of the most important factors in ‘social commerce’ is the balance between convenience and control. The latest ‘tweak’ to the Facebook news feed algorithm (posts from friends/family and those with higher engagement like comments/shares to be upweighted against posts from brands/media) makes this point even more noteworthy. Social media channels put (or must put) commitment to their users ahead of brands. Brands who want to utilise the large user base of these social media channels will have to use more ‘paid’ tactics since ‘organic’ reach will become increasingly difficult to achieve. The expected increase in advertising cost on Facebook after the news feed tweak is around 35%-40%. Ofcourse a well formulated content strategy with relevant and timely content can still bring in engaged users. But with ‘social commerce’ rising, brands are depending on social media channels for not just engagement. These channels are being developed as significant ‘sales’ channels. For many small/medium brands, these channels act as cost effective platforms for ‘discovery to delivery’, without needing to invest in an elaborate infrastructure. But this convenience comes with relinquishing control over the consumers, at best brands only have a shared control. Each channel can (and will) make changes based on their own business goals rather than the brands. Will Instagram start charging brands for the sales through product tags? The other phenomenon that brands have been drawn to is the multi-brand e-commerce platforms, to achieve more scale. This might seem like a win-win equation, but it does present some serious risks. A lack of total control beyond just of that on consumers. These platforms can affect artificial pricings as well as expose brands to unhealthy competition. There have been cases of counterfeits competing with originals on the same platforms. Brands stand to lose credibility in such instances. 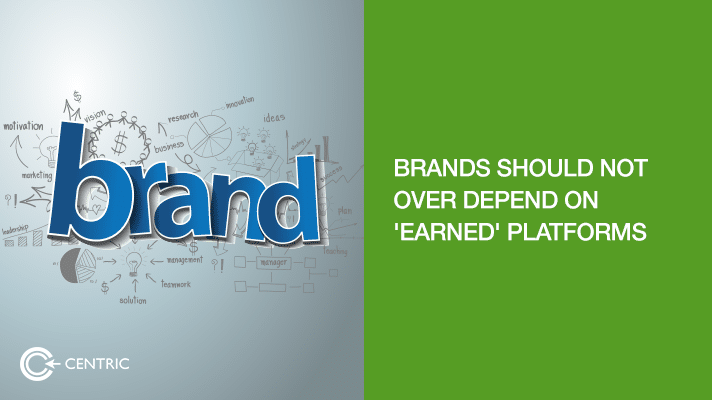 Centric have been advising our clients on how best to achieve the perfect balance between ‘owned’ and ‘earned’ platforms. After evaluating each client based on their industry dynamics (risks associated with ‘earned platforms’ differ between B2C and B2B brands) we set an optimum ‘target’ for each platform, taking care ‘not all eggs are in one basket’. 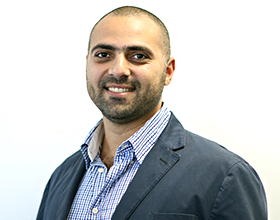 Our technology experts provide guidance on the best technology and techniques to maintain high performing websites and apps. Our data scientists perform rigorous data analysis of our clients’ customer behaviours – real time and otherwise – to advise them on how best to optimise the conversion metrics. Apart from our proprietary inbound marketing tool, latest marketing automation and tracking tools are deployed to ensure our brands’ success. We are seeing emergence of ‘platform brands’ and they seem to have the right ingredients to flourish in this technology driven economy. Ofcourse, not all brands can become an Airbnb or an Uber.